One of my friends at church asked me if I was still doing the baby hat thing; she wants to contribute to the donation, so I’m moving the delivery up a week for her. That also gives me more time to make a few more – looks like they’re getting more than 25 per department – that’s fine, they can always use them. tsp. cinnamon; spread in bottom of pan. with ice cream or whipped cream. Lightly spay 9×13 baking dish with cooking spray. cool for 10 minutes.Spread pizza sauce on crust. garlic powder. Bake 8-10 minutes, until cheese is melted. Before opening noodles, crush into 1 inch pieces. up to 24 hours. Toss before serving. accordg to Taco seasong instructions; set aside. Bisquick & 1 C. water together to form soft dough. minutes or until edges of dough are lightly browned. of ingredients – then microwave. 1 (8 oz) pkg. cream cheese, room temp. elec mixter until fluffy (about 2 minutes). double recipe if using a layered cake. With our lovely weather came another cold – I’m totally stuffed up and sounding like a bass singer! (that won’t be too good come Sunday when I’m supposed to be singing soprano!) Oh well – such is life, eh? Dinner last night was BBQ’d pork chops, alfredo noodles & tossed salad; tonight (in honor of my grandson) it’s homemade pizza – at least I know he LIKES that! While at the grocery store yesterday I noticed more Paczis! (Polish doughnuts!) Of course, I couldn’t resist and brought home 6 cinnamon/apple filled – they even had (totally NON traditional flavor) Butter Cream filled (let’s just say I was SORELY TESTED on that one – really, REALLY wanted to buy them, but resisted, knowing my husband would have a FIT! “That’s not a TRADITIONAL Paczi filling flavor!) Usually, Paczi’s are filled with Lemon, Prune, Strawberry, Apple, Blueberry, Apricot. Since my husband’s Mom was Polish, I was introduced to all their many tasty flavors. filling and covered with powdered sugar or icing. Well, friends – not much else new to talk about today, so I’m going to close and go back to knitting; at least I can RELAX while doing that and not feel too totally exhausted doing it! It Might Not Be . . . The top one is a ‘Wings & Triangle” design; I’m guessing this one will be the Cool Colors. The bottom is a design from the previous assignment; he calls them “Suns & Lines”. Now, for me, it’s ‘sit back and wait’ – I try VERY hard to NOT be a controlling Mom/person – I guess it’s just my nature to want to HELP as much as possible; it’s hard for me to do the ‘sit back & wait’. Today is one of those ‘Get Things Done’ days – started out going to Sears searching for a pair of ladies sweat pants to use as winter PJ’s; I should explain – I’ve had one pair for a good 8-10 years, but the elastic finally ‘rotted’ out on them; I tried replacing the elastic, but it just was not good enough. Sears, with ALL of their multiple sales departments, etc. did not have ladies sweat pants (at least the kind I wanted – lots of those really light-weight pairs that aren’t really sweat pants/the kind you would wear for a work out?). Ended up at KMart – same thing, then it dawned on me – wonder if they have MEN’S sweat pants? Took a bit of searching but I found just what I wanted AND they were marked down to $9.98 (name brand, too)! I’m a happy camper – I only wear them (a) when it’s REALLY cold outside or (b) when I’m sick but I like to have them on hand for when I’ll need them. Next up – grocery shopping; got that done in record time, we really didn’t need much. Tonight is homemade Beef Stew (got a nice chunk of beef on sale – yay!). Today is also ‘Catch up on the Laundry’ – one load in the dryer, 3 folded, one waiting in the washer. After that, it’s run the dishwasher, then I’m “Off Duty” as far as responsibilities are concerned, until time to make dinner! Yesterday was fun getting back to choir – not sure if all the choir members got the message/email/memo, but we only had about 12 people show up, 5 from my soprano section! We went over some older music and then into a few new pieces. It became rather amusing (to say the least) when we were cruising through a rather familiar piece (“Finlandia”/Be Still My Soul) and then the composer of this particular church piece decided to send the sopranos out in left field! We all stopped singing simply because we weren’t exactly sure WHAT we were doing! (It split into the regular soprano part and added a descant/higher part) In our choir we have two lovely ladies who are both blessed with extremely clear, high voices – they usually take any really high parts; THIS TIME the choir director told us we were ALL taking that part – I nearly fainted! Not only was I not sure of the part/notes I couldn’t even HEAR where we were supposed to start! (I mostly sing/play piano by EAR; yes, I can read notes, but I’m NOT a QUICK study! This was almost a disaster!). Oh well – we will practice THAT part quite a bit in the very near future, I’M SURE! That’s what makes life INTERESTING, right? In large bowl cream together 1/2 C.
cinnamon mixture until well coated. Cook pasta accordg. to pkg. directions. marinade mix on top & a little garlic salt. & veggies in large bowl; shred with 2 forks. seam-side-down, on well-greased cookie sheet. salt. Bake until browned & crispy, 20-25 minutes. baking pan sprayed with nonstick spray. in oven & let marshmallows slightly melt. hours. Keep chilled until time to serve. Combine stuffing mix & remaining water. 6 packets; place on rimmed baking sheet. double layers of regular aluminum foil. the entire cake, taking care to get it into all holes. Brown ground beef in skillet. Add taco seasoning. tortilla. Bake for 10 minutes. Remove from oven. Spread top tortilla with salsa, then, top with cheese and desired toppings. Bake an additional 5-10 minutes or until cheese is melted completely. well & serve with crackers or on a sandwich. In large pot, brown turkey on medium heat. Grease an 8 x 8 baking dish. them out on the bottom of the baking dish. powdered sugar and vanilla and blend. in baking dish and spread evenly. Top with can of cherry pie filling. rolls.Melt butter and pour on top of crescents. How are your Gas Prices lately? I had a big shock when we drove past our regular gas station yesterday; Regular gas had jumped from $3.39/9 to $3.59/9 (I actually let out a yelp which caused my husband to think something was wrong – he was NOT happy I startled him). I’m glad that, right now, my tank is 3/4 full – sure hope it drops some soon. Weather-wise, it’s back to being in the really cold temps: in the teens! When I went out earlier I was surprised at just how cold the wind was making me in such a short time. (Ah, those pesky Wind Chills that they factor into our weather reports). Right now it’s 19 and the cold is supposed to stay for the remainder of this week (sigh). The good thing? (in my humble opinion?) – You can still Walk/Drive/move about in cold – not so much in huge snow storms or freezing rain/icy roads, etc. Our unpaved road going to our church is a real mess right now – TONS of BIG potholes and ice all around – I felt like I was riding a rollercoaster just attempting to get to church! Spring is around the corner – but I really wish it would HURRY UP! Got an email today saying our choir practice is resuming; our choir director’s wife (who plays piano for us) had to have surgery on her wrist end of January and is now able to resume her duties – YAY! Since we’re going to be starting the Easter season music so late, looks like we’ll only be singing two songs instead of a contata this year – it’s all good. I’m just happy to be back with the group; it’s such a good feeling working on learning new music, challenging your own voice to see if you can really reach those super-high notes (properly – not squeaking!) and blending with a group of people who are all dedicated to the same end: to make beautiful music which praises the Lord and brings honor to His name – as well as lift people’s hearts to worship. Working on my last 2 baby hats – for a total of 50; I try to make 25 Newborn and 25 Premie before I deliver them, that way they should have enough to keep them ‘covered’ until my next delivery in a few months (I hope!). I already have ENOUGH yarn, but saw a great sale at Herrschner’s (craft company) and ordered some really nice baby yarn (good prices!). Last year I made two of the same pattern, using the same yarns but reversing the positions of them. That pattern was SO much fun and came out so nice looking, I decided today to make another one – but this time with a bit more brightly colored baby yarn; should be a fun knit! The pattern is the one on the left (same as middle, yarns reversed). The one I want to do this time is the (left) white background with brighter multi-baby colors yarn. Herrschner’s had a really bright baby multi-colored yarn, so I’m anxious to see how that one will turn out! (The pattern is easy and lots of fun to knit). nonstick spray; sprinkle with 1/4 C. nuts. golden brown. Cool 1 minute; invert onto plate. dried sage over chicken. Do not stir. over chicken; do not stir. over Bisquick layer. Do not stir. crockpot. Cover & cook on High 4 hours. & discard fat, set aside bacon for later. vegetables 2 minutes, stirring constantly. Bake cake as directed in a 9 x 13″ pan. & vanilla; beat by hand with a whisk until thickened. Fold in Cool Whip; frost cake with pudding mixture. spread for sandwiches or toasted bread. masher or use a standard mixer to beat them). it or just sprinkle powdered sugar on top. out clean – no wet dough sticking to it. ingredient (beets) was, guessed it was cranberries! We had our grandson (age 7 1/2) over for most of the day yesterday: 7:50 – 3:30 p.m.; let’s just say I really didn’t get much sleep the night before (possibly worrying about waking up in time?) – got 3 hours sleep. Wasn’t really ready for a BOUNCY, READY-TO-PLAY kid! I stalled a bit by making omelets & toast for breakfast, then his uncle got him situated (for awhile) on the TV playing virtual hockey -this boys really takes after my son (our oldest): he LOVES almost every sport and can quote all sorts of sports stats (just like his dad). Later we played a ton of board games until I (virtually) hit the wall and said: “Grandma’s REALLY tired, can we take a break?” He played with Legos some while I attempted to take a short nap (didn’t happen – I just lie there ‘listening’ to him playing). After I got up I remembered a box I’d seen upstairs and brought it down. He & I spent a good 1 1/2 hours making a pink mouse key chain with beads – he LOVED it! This was a box of ‘leftovers’ from way back when the boys were about his age; they had already made the alligator, turtle, frog – but there was still enough cording to make ONE more project, so he chose the mouse. (think I’ll look into buying more elastic cord, for later). There’s still enough beads to make a ladybug, butterfly and something else (don’t remember). He loves doing crafts, so that helped use up some of the time. Don’t get me wrong – I LOVE spending time with him, BUT he’s so smart and full of energy that it’s difficult for me to come up with things to keep him busy! Around 3:30 his other grandmother arrived to pick him up; she’ll have him overnight. (We don’t have any place to have him ‘overnight’ – no spare bedroom/extra space). It was fun – I think he had a good time. Hope you’re having an OK day – (or better!). Enjoy your day – smile a little, have a wee snack that you like, put your feet up and take a 10 minute ‘Power Nap’ if you can! Yep, in THIS state the saying goes: Don’t like the weather? Stick around a few minutes and it will change! Today’s weather was SUPPOSED to be in the 40’s with rain/perhaps thunderstorms & high winds (over 30 MPH) and later possible freezing, with ice on the ground (from the rain). What DID we get? I went out shopping (knowing the weather LATER was supposed to be nasty) – the weather upon my departure from the house? 31 degrees F. – clear, so I even decided not to wear a hat (I hate hats, but here they’re necessary for most of winter). During part of my shopping it began to snow – we’re not talking REGULAR-SIZED snowflakes, these were HUGE and constantly coming down! (Where’s the RAIN?). This kept up, causing the roads to become slippery; I ended up cancelling part of my trips and instead, just stopped at Tim Horton’s for coffee, got the mail and came home. I was glad for the stops I was able to make – the books I put on ‘hold’ at the library can wait for another day – this lady’s NOT going to become a car accident if I can help it! CRAZY weather! Now, about an hour later, it’s stopped snowing and the temps are up to 34 degrees F – the icicles on the roof are melting – go figure! Cut squash & potatoes into chunks. Snap asparagus at appropriate areas for them; about 1 to 1 1/2 inches from bottom of asparagus. Cut Asparagus in half. Not down the middle in half, but across. We want to leave the spears intact. Mix the vegetables in one bowl. (Unless you have a really HUGE bowl, then use 2 separate bowls.) Sprinkle about 1/4 cup extra virgin olive oil over veggies & add all seasonings on top. Mix together seasonings in separate bowl then, using wooden spoon, fold all ingredients together; make sure all ingredients are well-mixed. Place veggies in deep baking dish (or two, if needed.) Cover dish(es) with foil & bake 30 minutes. Remove foil & bake another 10-15 minutes. If you like your veggies more al dente, lesson the covered cooking time. remaining Cool Whip. Refrigerate 3 hours. moisture dries up, stirring occasionally. cooked. Serve warm, cut into 4 pieces. Set heat level to LOW. up the cream cheese. Cook 5-6 hrs. or Low 6 hours. Serve with desired toppings. each chicken breast; press lightly into chicken. bake 3-5 minutes longer until cheese is melted. slightly or to room temperature. chips; stir into batter; set aside. for larger pans: about 50 minutes. That’s the weather & news from this end – hopefully YOU will have a GREAT day, GOOD weather and a little time to relax! Remember to smile a little during the day – it makes you happy and makes other’s wonder what you’re up to! The thermometer says 16 degrees F., but the WIND CHILL is 2 degrees F. – sure makes your face hurt just being out in it! Got back from grocery shopping and was VERY glad to come home to a nice, warm house. (Thank you, Lord, for all the many small blessings we take for granted every day – like heat, a warm house, food, clothing, etc.). I hadn’t really counted on finding a early Easter treat, but brought home a box of 6 Apple/Cinnamon-filled Pacjki (Poonch-keys)! I thought it amusing that ALL THREE of my (living at home now) guys quickly converged on the box, asking: “Are those what I THINK they are?” Yep – super calorie-laden, but really tasty big fat FILLED doughnuts! (I had a half, gave the other to my husband – they’re good, I just can’t handle that much sugar – these were also powdered sugar covered – for extra calories?) Happy with my purchases; I went there not exactly sure what I would be buying and came home with the makings for Chicken Pot Pie (homemade – that will be tonight’s dinner), a few more beef cube steaks to go with the ones in my freezer, some really nice, fat boneless chicken breasts (love cooking those on the George Foremann) and fixings for making Beef Stew – that should hold us for about a week! Also, with our weather lately, I heard talk while in the stores, that we’re supposed to be getting MORE SNOW; about an inch overnight then 2-3 inches tomorrow? 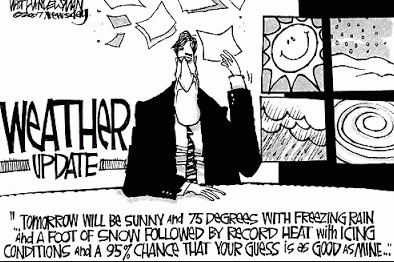 BUT – Thursday is supposed to warm up to almost 30 degrees F.!!! YAY! It’s about time! My husband had to take a hammer to the accumulated ice ‘pack’ that was right behind my front tires – it was so mounded/packed that every time I turned a corner you could really HEAR it scraping the tires! Crazy stuff. top & bake, uncovered, 20-30 minutes. stirring frequently, until cheese melts. 1/2 tsp. cumin. Cover & cook on Low 4 hours. serve. Makes about 2 3/4 C. chicken. if desired. About 2 dozen muffins. gran.sugar in large bowl with elec. 12 diagonal slices. Makes 48 cookies. Brown ground beef & drain, add onion and sesame oil. green onion, S & P and stir again. tops evenly with Parmesan cheese. Bake 12-15 minutes or until brown. can of chili, then cover with cheese. Bake 30 minutes or until bubbly. Spray 9 X 13 pan with nonstick spray. sugar; mix until well blended. add coconut and stir & toss until golden brown. Here’s hoping your weather is ‘good for/to you’- stay warm (if you’re in a cold place), relax a little – maybe take a quick nap/have a little something sweet/drink a nice cup of something warm (coffee/tea/cocoa) and try to SMILE a little! It’s a brisk and ‘balmy’ 23 degrees here with SUNSHINE! It was snowing big, fluffy flakes when we left for church and kept it up for a good hour; I don’t worry about that kind of snow (unless it continues) because it doesn’t stay around long. 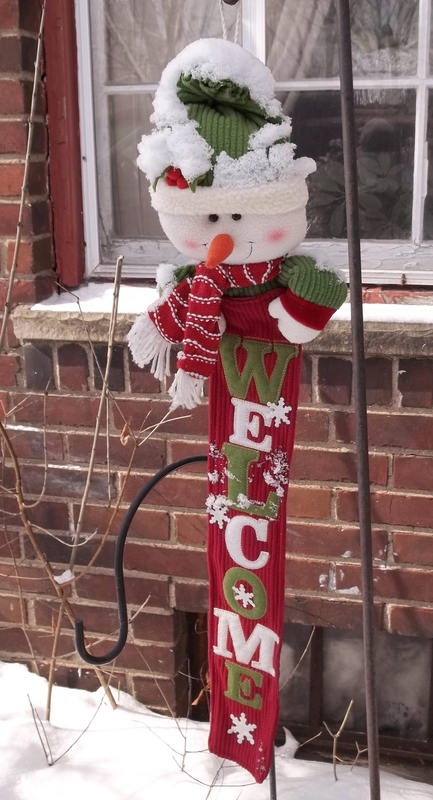 As you can see, my poor snowman sign has a bit of snow on him but not half as much as last week (he even had an icicycle hanging from his nose, then!). The extra snow made the roads a bit slippery going back & forth to church, but we’re just SO glad to be back, it really doesn’t matter. My poor Alzheimer’s lady is getting worse – I’m sure there will come a time in the near future when she wont’ be able to go to church any more. It’s hard working out a schedule for her (for us to pick her up); even though I called her (& her husband) yesterday, when we got there to pick her up she wasn’t at the condo complex door. I called their apartment and she answered; apparently she got ready (again) too early – as she put it: “I waited and waited and got tired of waiting so I came up and changed my clothes.” I’m trying to figure out a system so that won’t happen; am thinking of calling their apartment about 15 minutes before we’re due to pick her up; that should give her enough time to get her coat on and come down one flight of stairs to the door, thus ending the ‘getting there too early’ – I hope. The sad thing was; while I was putting on my coat AFTER church my cell phone rang – it was her husband who put her on the phone: “Pam? Is there church today?” (neither she NOR he remembered talking to me earlier this morning). Alzheimer’s is a truly VICIOUS disease; it slowly steals away the people you love to where they don’t remember who they are/ who you are or anything else. Grease and flour a 9 x 5-inch loaf pan. electric mixer until smooth and creamy. and add more brown sugar/cinnamon mixture. mixture through apples using a finger or spoon. in the center of the loaf comes out clean. ripe olives. Serve with crackers & fresh vegetables. or let cool to room temperature then serve. several hours or until chilled. mixture until no lumps remain. until golden brown, about 45 minutes. milk & pudding mix; blend well using elec. bananas – cover with remaining cookies. crisp-tender, about 7 minutes. Add 1 T.
Yesterday was a nice, quiet day – time enough to work on the knit baby hats, crochet more rows on the baby blanket and read a few chapters in my latest mystery; I don’t get many of those and was very happy to enjoy it while I could. Dinner was another batch of the Black Bean Chicken Soup – middle son was very happy to see it when he got home from work (if you might remember, last time I made it he told me he would be happy if I made it EVERY night for dinner!). I love it when there are leftovers and I don’t have to worry about “What’s for dinner?” I might throw together another loaf of the 3-Ingredient Banana Bread – that’s always tasty and easy to make (and husband likes it for breakfast). Hope you are enjoying your day/night – even though it’s not really warm, I’m just happy it’s out of the ‘teens’ – we’re supposed to get warmer weather this coming week – we’ll see. Was awakened this morning rather early by husband who learned that middle son got home rather late from work – after getting his car stuck in a ditch and walking home. Fortunately, it was only on the next street over, so car was OK – son was OK. After some conversation with said son, he doesn’t have any more ‘tows’ on his car insurance, so ended up having to call a towing service ($75) to get it out of the snow bank – sigh. Husband helped him through all that (plus, thought he lost his phone – it was under his car seat). To top all that off, husband & I had a 10 a.m. dentist’s appointment, leaving exactly ONE HOUR for husband/son to get all that straightened out (they did – we made it to the dentist exactly on time, and it’s 25 minutes away!). My husband finds it amusing that almost everywhere we go (if I have my knitting/crochet) people stop and talk/ask questions about it. I gave out another of my knit group business cards to a lady in the dentist’s waiting room who just learned how to knit and couldn’t seem to wrap her brain around how I could knit something square and have it turn into a baby hat. As it happened, she was still there when we were leaving so I had the receptionist take the finished hat in for her to see – you just never know how people are going to react; I could hear my dentist saying: “She knit that JUST NOW?” (Yep, about 1/2 hour’s work). pin to flatten & enlarge dough. squares. Place dough in 8″ X 8″ pan. until crumbly; sprinkle on top of each square. until hot. Season with salt & pepper. Place melted butter, 2 C. sugar, 1/3 C.
eggs, one at a time, mixing in between. nonstick spray. Spread batter evenly in pan. toothpick inserted into center comes out clean. Let cool on wire rack. Last night was our first night back in three weeks for my special needs group; the weather WAS cold (18 degrees F) and the wind chills were probably pretty low, but we still had 22 kids attend, so that wasn’t too bad. It was also Music/Birthday night but none of the three people who’s birthdays were in February came, so we just all ate frosted cupcakes and enjoyed them! It was really good to be back together – you could really see the kids missed being with each other. I love my group; one of our girls said, when we were talking about how good it was to be back: “Yep, it’s a miracle!” (she’s a riot – that’s almost her standard answer for everything). Not much else new today – planning on Salmon Patties for dinner with baked potatoes & salad; it’s easy and a change from our meals lately (mostly having soups/stews). Am hoping (barring any other unforeseen situations/tragedy, etc.) to just knit more baby hats, work a little more on the crocheted baby afghan (I’m to the ‘increase length part’ now – with this pattern if you don’t do this part, you end up with a square) and reading. Nice, relaxing afternoon – I HOPE! 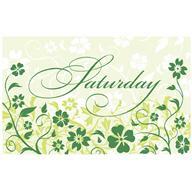 Today was my ‘running errands’ day – what with 8 locations to stop at, I’m pretty tired but happy to get it all done! It’s been awhile since I went grocery shopping and we were running a bit low on ‘non-edible’ items like paper towels, garbage bags, Kleenex, etc. so I decided to combine that with a trip to the dollar store, library, 2 drug stores, the bank, mailbox, Tim Horton’s for coffee (last stop – treat for husband & I when I got home). When I got in the car the temperature was 11 F. and I thought: “ELEVEN? That’s COLD” and then it changed to 9 degrees F. and stayed there! Yes, it’s cold – makes your cheeks hurt if you’re out just walking from the car to the buildings, but I can still DRIVE in cold – not so much for the ‘S’ word (snow). I guess we’re supposed to stay in this really low temps. through until Thursday when it’s supposed to get up to (seasonally regular) 30 degrees – but I’ll believe that when I see it! Gas prices have slowly crept up this week, from $3.39/9 to $3.44/9 – not a lot, but every little bit counts. Grocery shopping thoughts: I went to Kroger today and was looking over their meats (I don’t usually buy meat there – (in my humble opinion) their prices are too high. Looking at whole chickens (and not BIG ones, either) for $6.00+, very SMALL roasts for $35.00!! !, 2 medium-sized pork cube steaks for $6+ (I’m thinking: If I were to buy those, I’d need at least 6 to feed the four of us – too much! Twenty-four dollars for ONE MEAL? NO!) Yes, I’m (to choose a nice word) : FRUGAL! My husband attributes it to my Scots heritage – I think it has more to do with growing up rather poor; either way, I do know how to squeeze a penny and make it scream! Had fun using coupons plus Kroger on-line in-store coupons to save $14+, at the dollar store I had coupons and a (in the mail) $3.00 coupon for their store if you spent over $15 – just buying pop for my husband and bird feed was enough to pass that point! Stopping at WalGreen’s also saved me $$$ – I believe I’ve mentioned this one before, but checking Drug Stores for FOOD DEALS is a good idea. I got Aquafina bottled water (24 bottles – husband ONLY drinks this kind) for $3.99 (usually $5-6 a case), Honey Bunches of Oats with almonds cereal for $1.99 (usually $3.+) and a gallon of 2% milk for $2.29 – not bad! While grocery shopping I kept thinking: WHAT am I going to make for dinner? then I spotted a nice, big turkey breast marked down, so bought that along with 2 turkey thighs. They are happily cooking in the crockpot along with cut up russet potatoes; I poured some zesty Italian salad dressing over the turkey, added salt/pepper/garlic powder and let ‘er cook. Husband & I both like stuffing with turkey, so I bought a box of that for us (the boys will have the potatoes) and a salad will round out the meal. in bottom of greased 9 X 13 baking dish. to rest 10 minutes before serving. until blended. Gradually beat in beer. heated through. Makes 16 (2 T ea) servings. pineapple, reserving juice & fruit separately. potatoes in a 400 degrees F.
Mix dry pudding mix, 1/4 C. sugar & cinnamon. pudding mixture; mix lightly; spoon into crockpot. Sprinkle top with nut mixture just before serving. Oh, almost forgot! My son got another A- on the second Art Design project! YAY! (Teacher said he would have gotten a solid A if we hadn’t watered down the paints, OR chose brighter colors – she said the colors at the bottom of the board were supposed to “POP” . . . sign). Got a look at the next assignment – it’s a doozy, 2 weeks for this one: something about designing 2 patterns for snowboards, sort of like the t-shirt thing but with more mixing various color choices (go figure, it gave me a headache just looking at it!). In case you’re wondering just ‘why’ I would involve myself so much in this project – son is working on a grant; IF he passes both classes he gets the grant money. He wants to use that money to pay us for a loan from awhile ago, plus buy a laptop. I’m not doing it for ‘me’ or the $$$, but I know how much this all means to HIM, therefore I’ll do what I can to help him through. As I’ve mentioned, this is NOT an easy art class (especially when you think he went into it thinking it was a BEGINNING DRAWING class – it’s definitely NOT!). Oh well, we all learn something new, almost every day – right? I’m just kind of pretending I’m back in college! (I thought it was cute: he asked me about my degrees from college and then said: “I thought a degree in Arts meant you were into ART!” . . . . no, dear – it means I had a TON of Sciences/History of Art & Music, classes – nothing to do with drawing/painting (as in: I’m doing the painting/drawing). Hope you have a great day/evening – stay warm (or cool, depending on where you are), and remember to RELAX a little and enjoy at least a tiny part of your day! ART DESIGN: Project #2-DONE! . . . YAY!!! Our weather is cooperating still/yet – it’s clear and no new snow, 20 degrees right now at 4:10 p.m. – it’s good enough to go out shopping or drive in. In fact, we went to church yesterday! Let’s just say: missed 2 weeks, went 1, missed 2 more = a VERY anxious Pammie! It was like ‘old home’ week – everyone was just about in the same boat: “How long since you’ve been here?” was the sentence of the day. Lots of hugs & smiles – you could really tell people were happy to be back in church! Been experimenting a bit with the new donated yarns; I like trying new things so I dragged out some of my old afghan square knit patterns and applied them to some of the hats – to my pleasure! Added the “Granite Relief Pattern” to a brim, “Star stitch” to another, and “Elm Seed Stitch” to another. These patterns work best if done in a solid color, so you can see the stitch contrast. Right now I’m up to 19 Newborns & 18 Premie hats (I try to shoot for 25 of each before I deliver them – that way I figure the Obstetrics and Neo-natal Intensive Care units will have enough to hold them for a few months – hopefully!). Food-wise, nothing ‘special’ – made homemade Potato Soup for dinner last night; family was happy. With everyone in & out all the time it makes preparing dinner meals a bit difficult, as I never know HOW MANY people will be eating them! OH! Youngest came home last night with the announcement that he has another job and starts TODAY. (Not my choice of a job for him, but he wants to do it, so why stifle the effort?). He’s working at a Piercing Kiosk at the local mall (they sell ‘stuff’ for people who like pierced parts: ears/eye brows/lips/etc. He has his ears, bottom lip and septum (the part between your nose hole openings) pierced (go figure – his Dad & I both do NOT like that sort of thing – YUCK!). I was surprised when he said that the MALL ITSELF has a dress code for those working at kiosks – no tennis shoes, no jeans, no t-shirts/shirts with writing on them – basically clean & neat/business-like. He’s working 4 days this week, all training. Got up early and drove there only to find out he had the hours reversed: he went for 9 a.m. – 3 p.m./ it was supposed to be 3 p.m. – 9 p.m.! (He was bummed at spending the gas for two trips). He asked me yesterday why I kept “PUSHING” him to get another job – (I thought I was just ‘suggesting’ – oh, well). I told him most people operate on money and the ‘having’ of it – without a job there’s no gas money/money to spend on ‘stuff/movies/fast food, etc. We’ll see how long this job lasts – I’m not one for thinking those kiosk jobs are anything to hold onto for long. He says they pay $8.00 an hour & (I think) 5% commission for any sale. (I’m thinking: no sales, no pay – that’s just my ‘take’ on that kind of job, but I could be wrong). margarine, sugar, eggs & vanilla. saucepan; stir then bring to boil, covered. until heated through, stirring occasionally. completely and place in crockpot. spaghetti noodles (or pasta) accordg. well. Add more cheese to top and serve. until heated through. Top with onions. Cut or tear cake into bite sized pieces; set aside. Spread half of pudding over all and repeat layers. coconut & nuts. Cover & refrigerate 1 hour. That’s about ‘it’ for now – hope you are happy, healthy, warm & comfortable (that about covers it all -right?). Mama Don’t Get NO REST! Yep, it’s another ‘Rope your mother into your Art Project” day! (HONEST: I sincerely TRIED to get him to have his DAD do this one . . . that lasted about 20 minutes – at the most). 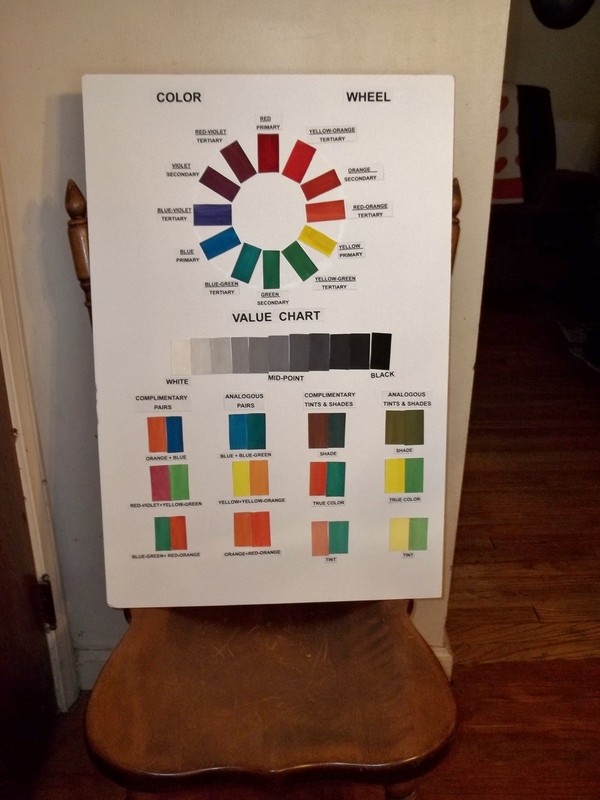 This project is to construct a Color Wheel (not bad, right?) BUT his teacher REALLY wants them to get all the concepts of how colors combined make different colors (or – in HER terms: Complimentary and Analgous colors . . . sigh). Let’s just say, after Dad, son & I worked on said project for a good 2-3 hours, it’s ready to be pasted on the foam board for Tuesday’s class presentation. 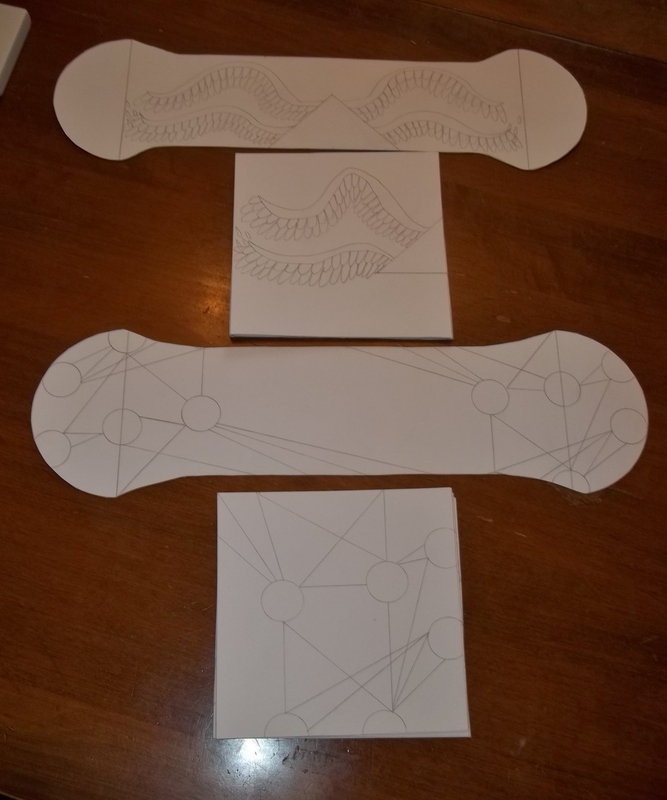 This one required cutting out tons of little 1″ X 2″ rectangles from cardboard (or FANCY cardboard: Bristol board), then painting them with water colors to make the various colors in the Color Wheel PLUS making 11 shades/variants of all white to total black. WAaaaaaaaaaay back when I was taking Art classes from Art Instruction Schools I had a similar assignment: draw then paint a picture of a lady wearing a fur coat, using something like 15 variations of blacks/greys/white – let’s just say I don’t remember PASSING that assignment. It might sound easy to make 11 variations of white/gray/black but believe me – it isn’t. (I warned son, and he said: “It’ll be easy!” . . . by the end, he agreed with me (only after making I-can’t-tell-you-how-many rectangles of greys and still not getting enough difference between one and the one next to it). I’m beginning to think of suggesting when he passes this class, he owes me at least a LUNCH! (I love my husband, but he’s VERY …to the extreme…precise about his art ideas. When he was trying to show son about how to make a grey from beginning white he was saying: “Now you put 1 drop of white, then add 1 drop of black & mix them. If that isn’t enough you must continue to add EXACT amounts of each color to get the color you want.” (Maybe in HIS world, but in our family I’M THE ARTIST and there AIN’T NO WAY I mix colors that exactly/precisely! About 10 minutes of that and son was ready to pull his hair out! Somehow Dad got distracted and went to play on his computer game, leaving ‘guess who’ to take over. (Aside from the every-so-often comment of: “Is the project DONE yet?” from him, we did just like last project and kept plugging away.) I finally announced that there was NO WAY I was staying up until 2:30 a.m. like last time, I’d take it up in the morning, and I went to bed. Sometimes you just HAVE to step away from a project and get some relaxation or you’ll just go crazy! Yesterday was also a day for lots of activity; husband & I drove to Comcast to exchange our cable receiver- On Demand stopped working then stopped at Costco to get a membership. I knew it had been a very long time (10 years when they looked it up) since we were members; during that time I totally forgot exactly how HUGE that store is! (side note: I am sometimes given to anxiety attacks due to Agoraphobia: fear of crowds/large places) but haven’t had them in a long time . . . let’s just say, being in Costco really triggered one! I felt bad for my dear husband because he just kept saying: “Take deep breaths – you’ll be alright!” No, I wasn’t panicking, but just had the ‘Fear or Flight’ syndrome: the feeling that I just HAD to RUN and GET OUT OF THERE! Let me tell ya – it’s not fun. The longer I was there with all the VERY RUDE shoppers, huge floor-to-ceiling displays, around-every-aisle people demoing all sorts of food stuffs – the faster I wanted to leave. We ended up picking up a rotisserie chicken ($4.99) and a huge all-meat pizza ($8.99) and then we left. Husband graciously said: “Well, maybe the boys & I will come shopping here and you can just make us a list.” After considering the entire experience, I’m not sure I, personally, will EVER return there. I know that sounds extreme, but I know my limits. (See? Now you know one of my biggest shortcomings). Also had grandson yesterday (after the Costco thing) – we spent some fun time together; it’s always nice to be able to just play together. Middle son’s girlfriend also made an appearance – it was like an Open House around here for awhile once oldest son arrived to pick up grandson but it slowly calmed down. at least 30-60 minutes until firm. to cool. Keep refrigerated until time to serve. 1 tsp. more melted chocolate. Refrigerate. remaining 1/2 C. cheese. Serve immediately. minutes more or until mixture is hot. Spray 9 X 5 loaf pan with nonstick spray. plate & remove pan. Serve bread warm. bullion granules & touch of salt & pepper. Cheddar cheese & top with crushed potato chips. toothpick inserted in center comes out clean. lemon zest & juice; mix well then spread onto cake. 1/4 C. cornstarch in shallow dish. canola oil in skillet to 375 degrees F.
with sour cream, salsa & chopped scallions. Preheat oven 450 degrees F.
under, even with edges of pan; crimp edges. powdered sugar & milk until well blended. I promise, when the Color Wheel is done, I’ll take a photo. One good thing? This class is over some time in April! No rest for the wicked, I guess. (or crazy Mommas who get involved . . . sigh). Our weather is cold: 18 degrees F. with 40% chance of snow tonight BUT we’re already planning on GOING TO CHURCH in the morning! NO MORE of this missing church – it’s been too long and I want to go!!! (almost sounds like some of the responses I got when I called my special needs kids this Tuesday telling them we weren’t meeting on Weds. – they WANT to go to church!) It will be good to be ‘back’, see our friends, worship together and learn in our Sunday School class (we have a special teacher for 6 weeks: son-in-law of our teacher, he’s a History teacher by trade and an EXCELLENT Bible teacher – I’m bummed I missed 2 weeks, but tomorrow will get us back on track.). Still plugging away on baby hats: making use of some of the donated yarn – finished 2 hats and am 1/2 way done with #3. With the amount of yarn given to me, I could be knitting for YEARS! Hope you’re in good health, relaxing a bit and not letting this goofy weather totally make you crazy. Even though it’s cold out, I don’t mind it so much – you can WALK, DRIVE and move about in cold but not so much in deep snow.